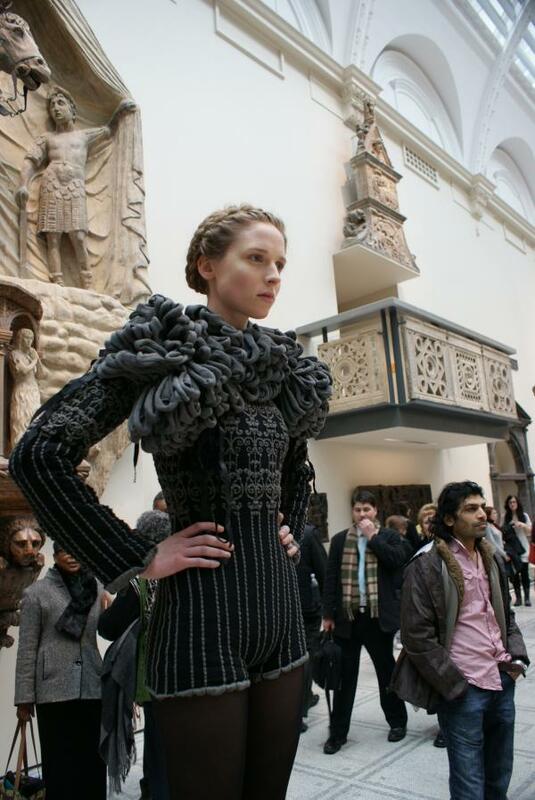 Fashion designer, Juliana Sissons, participated in the V&A’s Artist in Residency programme between July and December 2010. During this time Juliana used the V&A’s medieval and renaissance galleries for research and was particularly inspired by the armour collection and by images depicting armour within the many tapestries and sculpture. Sissons’ new collection on show today is of developmental knitted pieces inspired by the research, skills, exploration and textile experimentation gained during her residency. 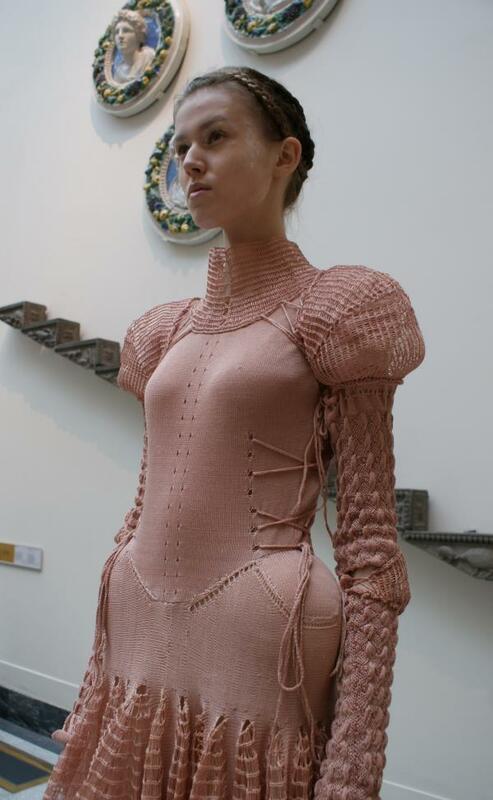 Like armour, these pieces can be worn separately or can be worn in conjunction with other items from the collection to make up whole outfits. The links between historic armour and fashion are extremely close. To complement Juliana’s collection, selections from the Museum’s armour collection will be available for visitors to examine. With special thanks to Vikki Haffenden who worked closely with Juliana to develop the digitally enabled knitted textiles in the collection; (no’s 3 and 4); these fabrics were developed on the Industrial Shima Seiki knitting system at the University of Brighton. Photographs by Toxi Doyle: Models from BM Models, Brighton and FM Models, London. These seems to be the perfect suit of armour for this coming winter.